Fold in short ends 1/4". Press. 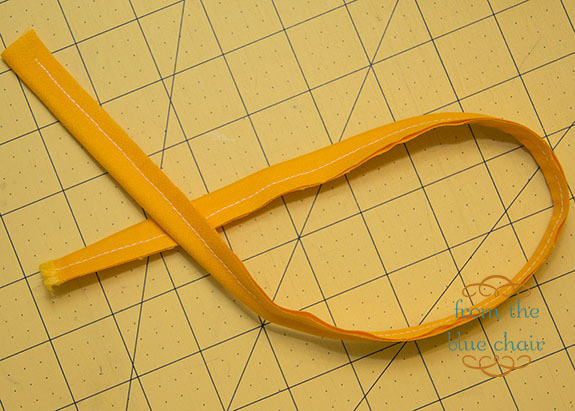 Fold strip in half along entire length (wrong sides together). Press. Fold raw edges into center crease. Press. This will result in one long strap 1 1/2" x 53 1/2". Edgestitch around perimeter of strap. Add an additional row of stitching 1/4" in from the edge if desired. Fold in half making a 3" x 4" rectangle. Press. Fold raw edges to center making 1 1/2" x 4" strip. Press. Edgestitch sides. Add additional row of stitching if desired. Leave short ends unfinished. Repeat process as above, making a 1" x 4" strip for key fob. Disregard if not including key fob. Adjust width of strip as necessary for size of key fob. Smaller hardware may require a 1/2" x 4" strip. Subcut piping to (3) 18" strips. 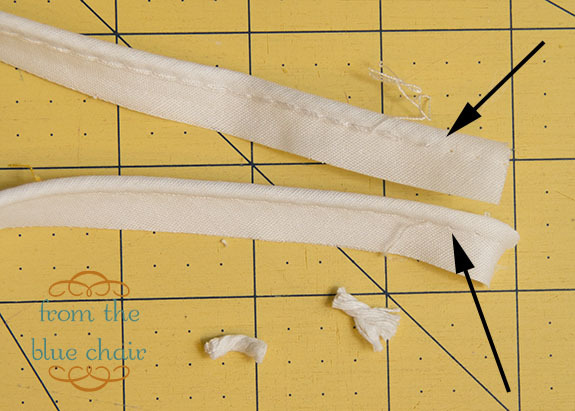 Unpick a few stitches from the ends and open piping. 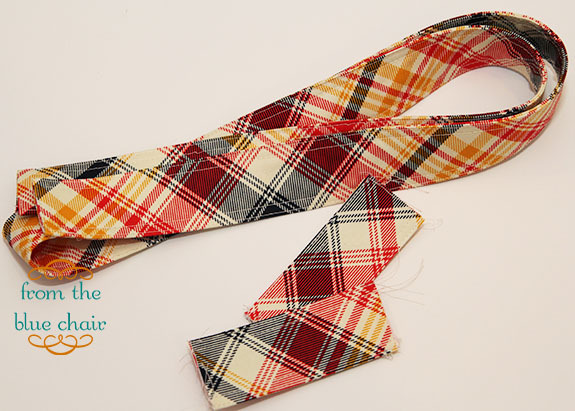 Clip off 1/2" of cording from each side of the 18" strip. Fold piping fabric back in place. 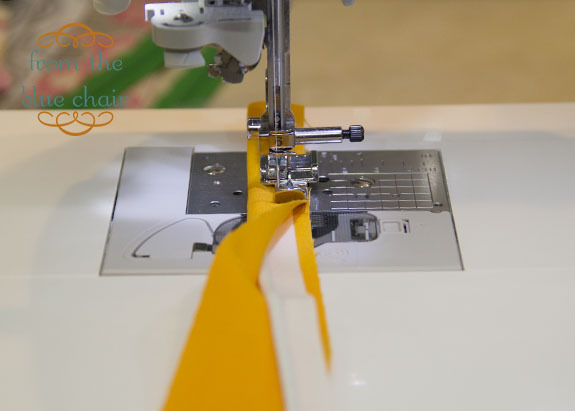 This reduces bulk from side seams when stitching the bag together. If recovering piping, center altered piping on 1.25" x 19" strip. 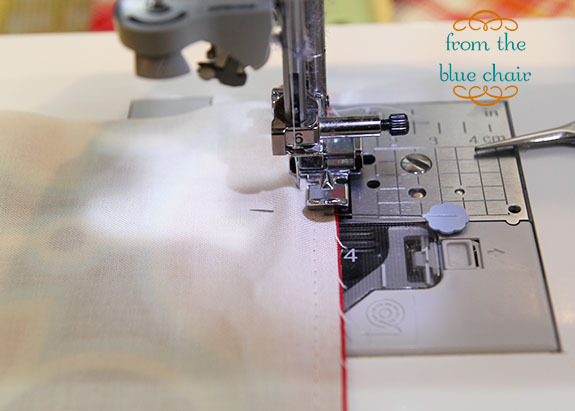 Fold fabric over piping, and stitch a basting stitch with zipper foot or piping foot. Attach piping to right side of pocket panel lining with a basting stitch. Aline top raw edge with raw edge of piping. Do not stitch too close to the piping stitches on this step. 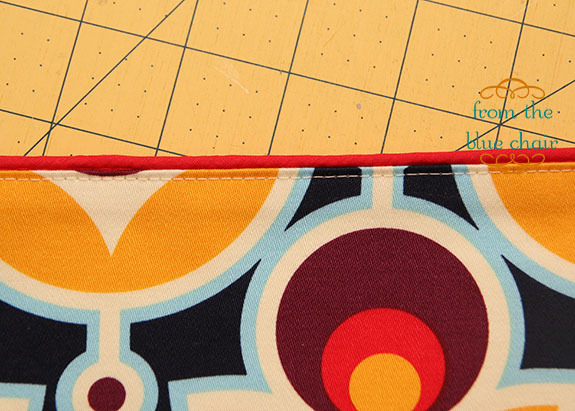 Attach pocket panel fabric to lining and piping piece. Place right sides together with piping sandwiched in between. Stitch with a regular stitch length as closely as possible to piping. 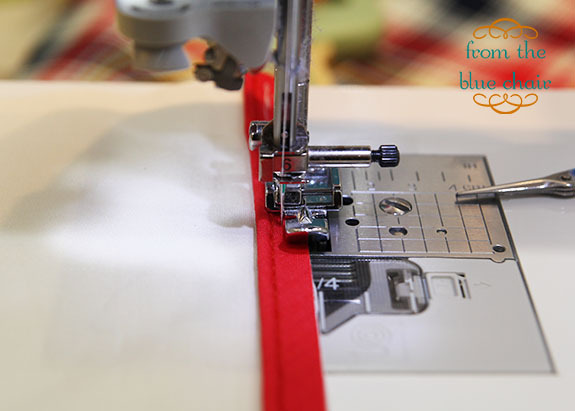 A zipper foot works, but a piping foot is very helpful for this step. Flip right sides out and press. Topstitch 1/8" from top edge of panel fabric. Repeat with each pocket panel and corresponding lining. 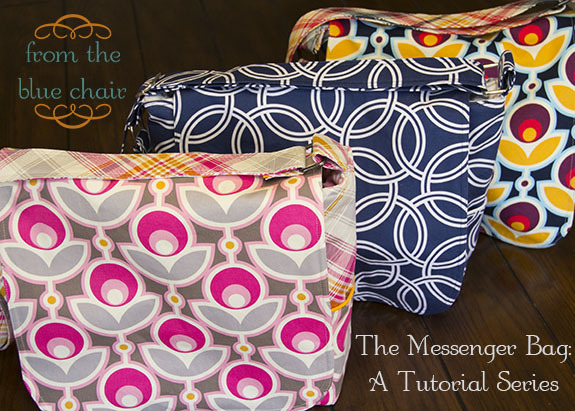 Head on over to The Busy Bean and follow her tutorial for installing a zipper in a pouch. We will be finishing the pouch differently, but zipper installation is the same. The zipper should measure just short of 12" when finished. Adjust zipper tabs and zipper length accordingly. Completed zipper with tabs. My zipper was a 10" zipper. I added 1" finished tabs to reach a 12" length. 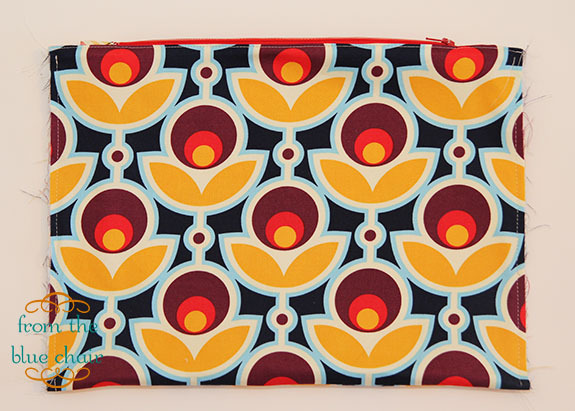 Once zipper is installed and sewn to both the lining and exterior pouch fabric, it should look something like this. Now place right sides of exterior fabric together and sew only the bottom seam. Repeat with lining, sewing only the bottom seam. Press seams open. 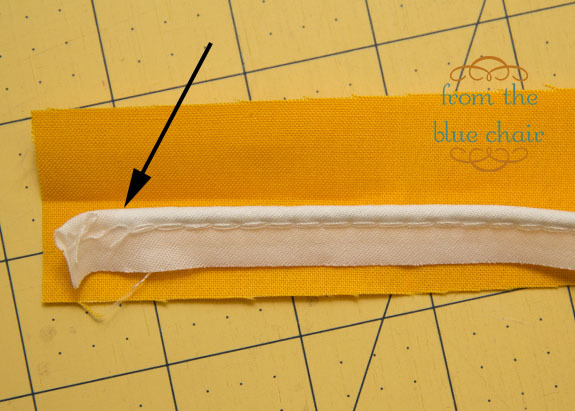 Flip pouch right sides out and sew a basting stitch 1/4" from raw edges along both sides. Your instructions are fabulous, Kati! Thanks so much for putting so much time into this! I'm stuck out of town for a couple more weeks, but I can't wait to get back home and start making your bag. I've got just enough soft canvas cloth, Paris-themed, I think, to do the outside. My art student daughter is going to flip! 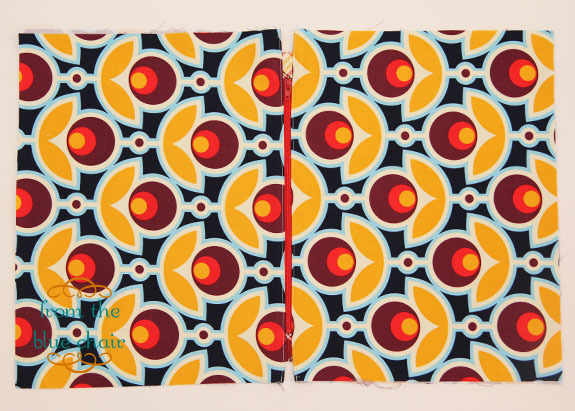 Don't suppose you also have a pattern for a roll-up paint brushes holder, do you? 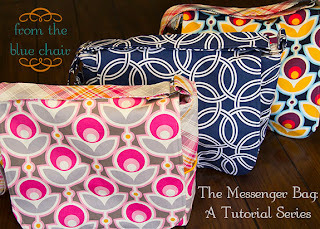 I would definitely buy one...especially since you're gifting the awesome bag pattern and instructions. Thank you so much for this tutorial. I am currently making one and was wondering what the seam allowance was when sewing the bottom of the zipper pouch? Sorry if i over looked it in your instructions. Thanks! I'm going to try this bag for a Reddit Gift exchange. I REALLY love your tutorial!!! Thank you so much. Once my match receives it, I'm going to post a link to your blog on the Reddit page! !